When we think of a boy's nursery, a bright blue room adorned in race cars comes to mind. Not quite the design-forward motif you're looking for? There are so many options to upgrade the style in your son's nursery without steering away from tradition. 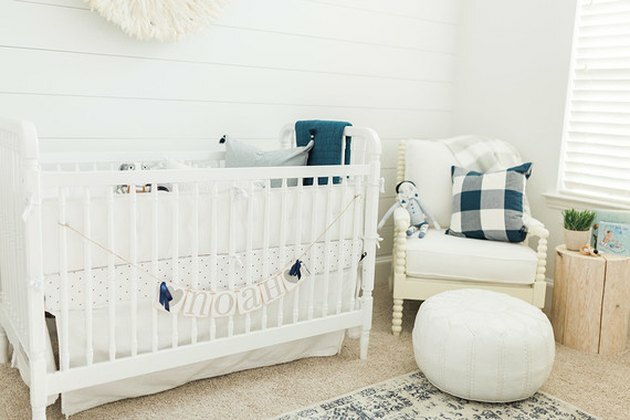 Whether you lean more towards a neutral nursery or simply work in pops of blue, here are some options to create a stylish boy's nursery that any young child would love to grow up in. 1. Go for an earthy theme. This room is both neutral and thematic — a rare feat. It brings a calming sense of the great outdoors. 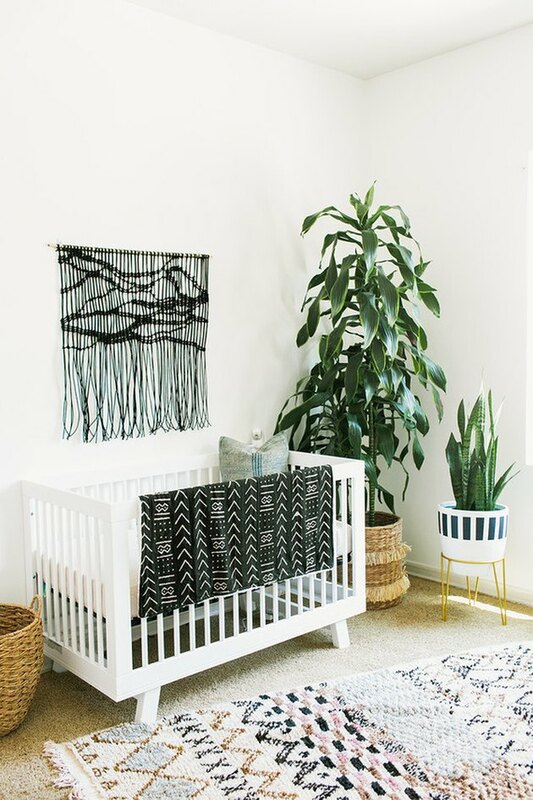 Stick with materials like exposed wood, wicker, and rattan to complete an earthy nursery. There is nothing more classy than a timeless nursery. While your kiddo is young, stock the shelves with toys and games that feel nostalgic without actually being vintage. There are plenty of artisans on Etsy who create modern toys with a classic feel. 3. Consider working within your home's aesthetic. If you have a thoroughly modern home, you don't have to suddenly turn a corner in a boat-themed nursery. Or, if you don't have an extra bedroom for the nursery and your bedroom is now a combination master/nursery, that's even more reason to combine the nursery theme with motifs already present in your home. Removable wallpaper is your best friend when decorating a nursery. When your son outgrows the print you liked when he was an infant, simply peel off and replace. 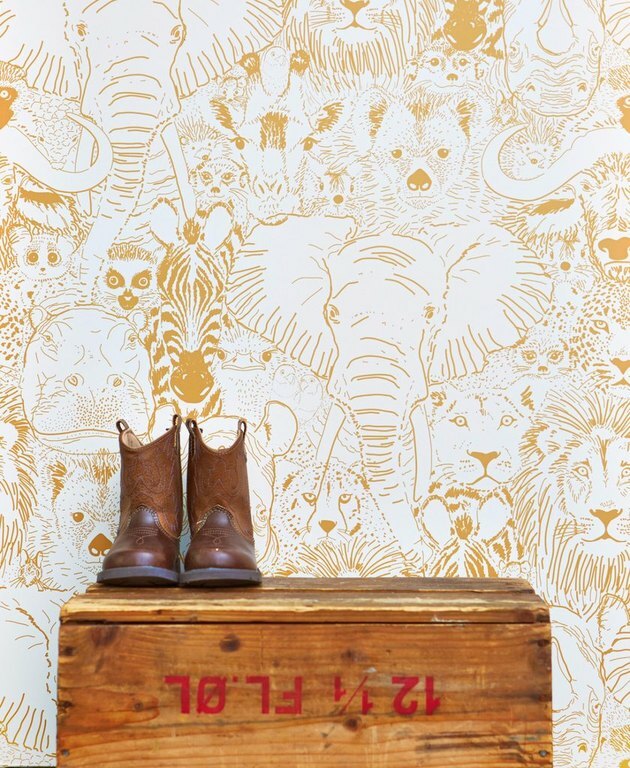 We love Chasing Paper for their selection of removable wallpaper. 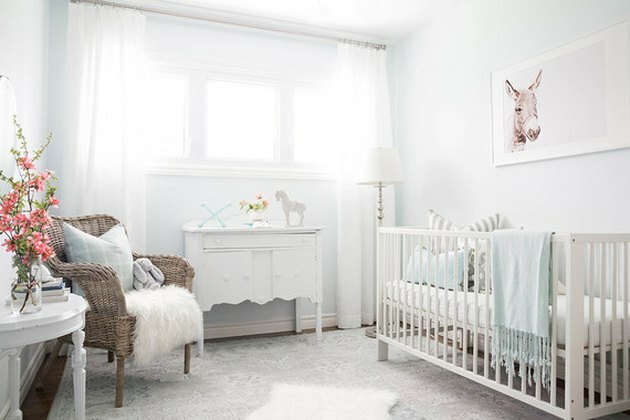 This all-white monochromatic nursery only gives itself away as a boy's nursery with the pops of blue and the son's name on the crib. 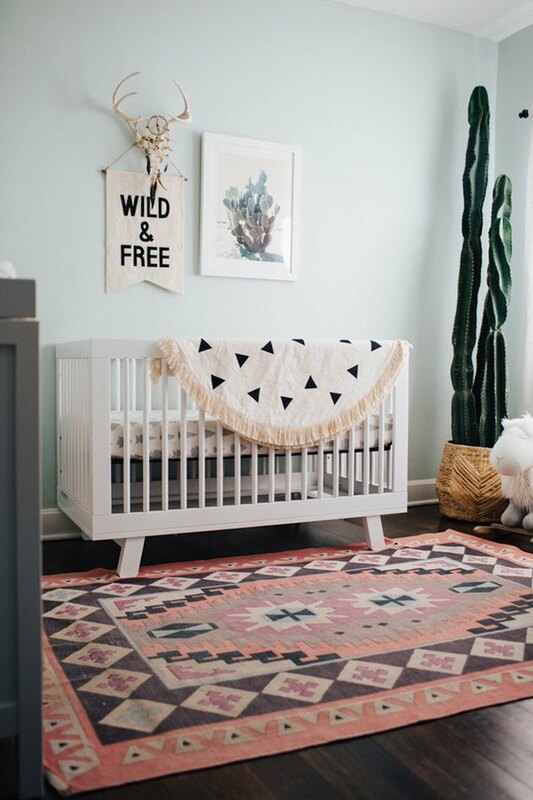 You don't even need the blue accents — a neutral nursery is a soothing and calming place for any child. 6. Create a book display. It's not a book shelf, but rather, a book display. 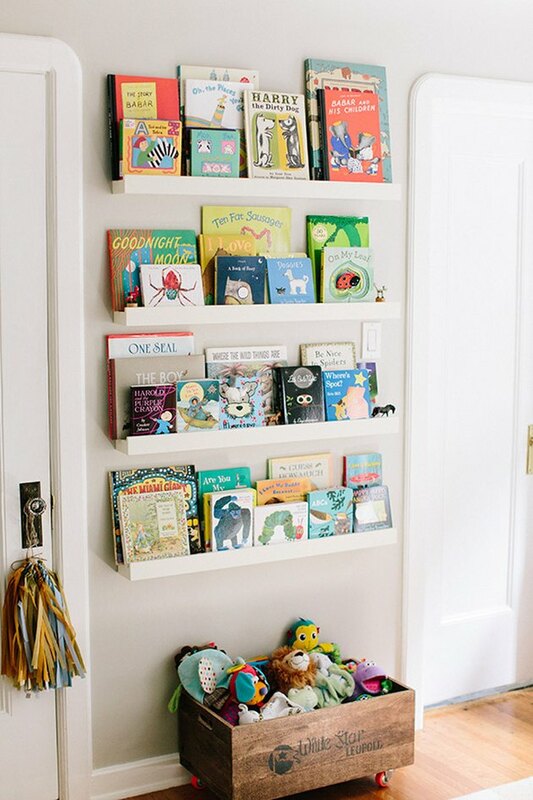 This storage idea will make reading seem more enticing when your little one starts grade school. Also, we love that it gives the room a boutique bookstore feel. 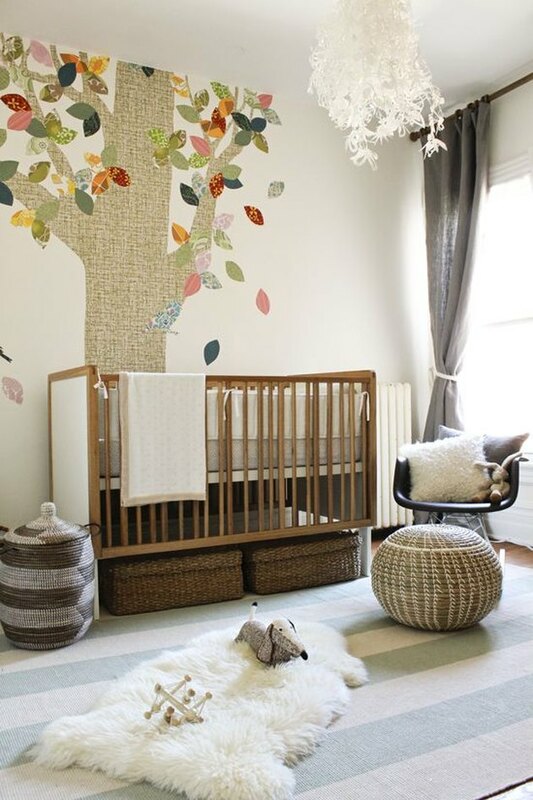 This nursery feels pretty simple, but when you look, closely, it's very well thought out. The blanket, wall hanging, and rug all provide texture and pattern — even though they don't match each other, each accessory picks up themes or hues from the others. 8. Search for Scandinavian influences. 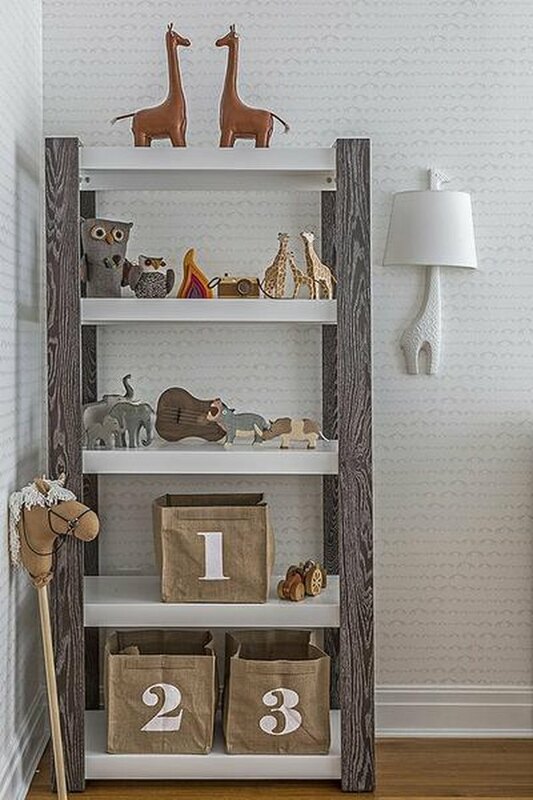 When it comes to nursery themes, the Scandi-inspired nursery is stylish, sleek, and modern with a focus on natural lighting and bare clean walls. 9. Go for the softest, palest blue. 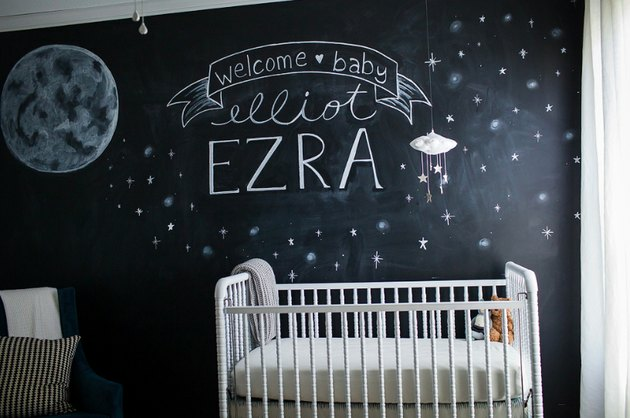 If you must have something blue in your boy's nursery, consider a completely pale blue for the walls. 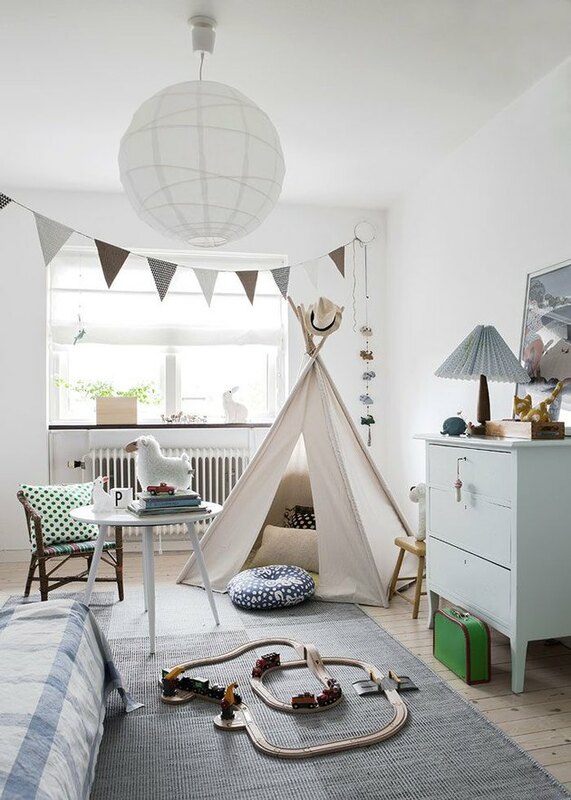 It gives the space a breathy, airy feel and lets you dress the rest of the room with soft, neutral colors. 10. Play with chalkboard paint. Chalkboard paint is always a fun addition to any room. When your child is still an infant, decorate the chalkboard wall to your liking and as your child grows, it becomes their own constantly evolving art project. 11. Consider a charcoal color scheme. Charcoal is the twist on the standard blue boy's room. 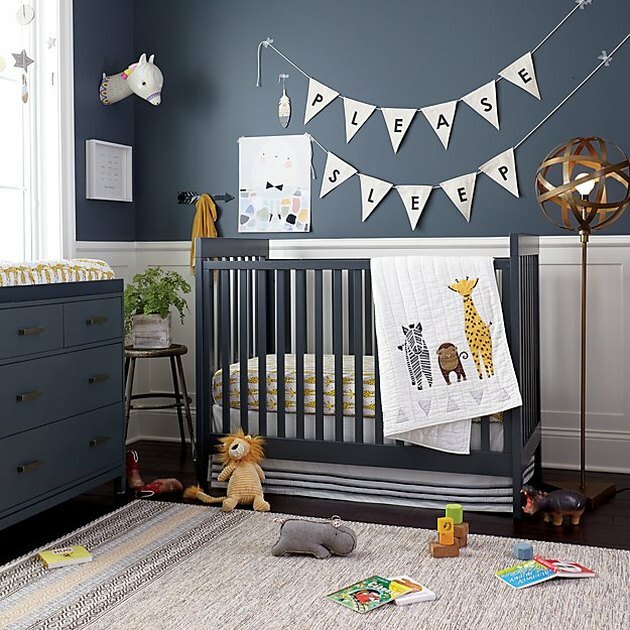 Land of Nod has a charcoal crib that is truly the centerpiece of the room. You don't have to be an artist to create a wall mural in your home. 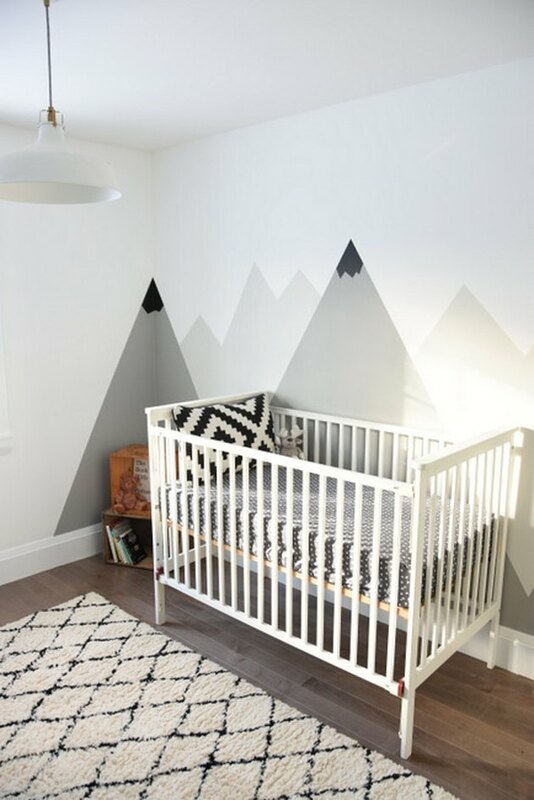 You can DIY your own mountain mural like this one with three different paint colors and some tape. Find the entire DIY here. 14. Try an updated mobile. 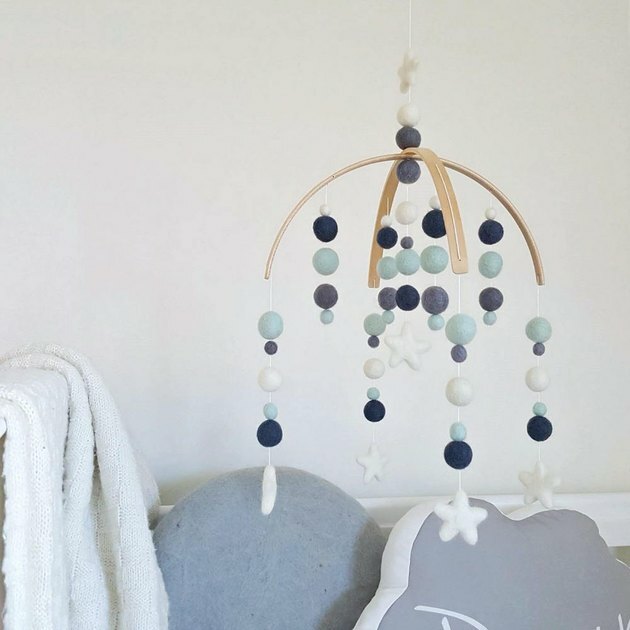 We're all familiar with a crib mobile and what they are supposed to look like, but what about one that really speaks to your modern look and goes with your boy's nursery theme? This one from Etsy uses wood and felt to create a fun — but cool — hanging piece.